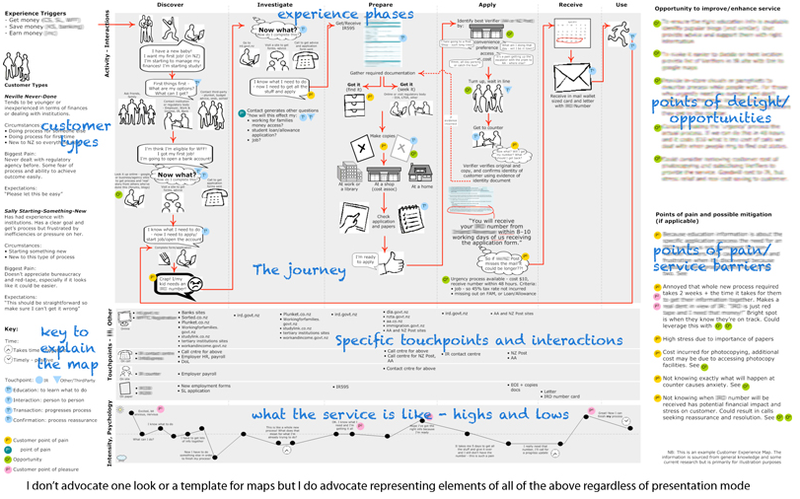 I use Customer Journey Sketchboards (Maps or Blueprints) within inception workshops and i think they are THE most effective method for creating a shared understanding of the end users experience, and for identifying new opportunities for improvement or change. These can be built with the end users, or can be build in isolation then validated later. They are a great asset for driving conversations. I find once they are created we refer back to them constantly, and i use them to drive out “Design Stories” for prototyping and as a context for prioritizing the stories. It’s where the rubber hits the road with personas. See http://experiencinginformation.wordpress.com/2010/05/10/customer-journey-mapping-resources-on-the-web/ for a bunch of resources if your interested.